When it comes to general health, two of the top concerns are exercise and sleeping habits. The two are not mutually exclusive, either. They affect each other – lack of sleep promotes lethargy, leading to less physical activity, and exercising properly has been proven to aid in getting better sleep. To truly understand the relationship, though, we have to evaluate several studies and conclusions so that we can plan ahead to get a good night’s sleep and make time to go for a good run. Fitness is important. According to a study by Appalachian State University, the early bird really does get the worm. The study had 20 adults exercise at various times of the day for several days. At the end of the study, those who took a moderate, 30-minute run at 7:00 in the morning had the best results, waking less during the night. For those who worked out at 1:00 p.m. or 7:00 p.m., the quality of sleep was significantly reduced. REM sleep also tended to increase with the later hour of exercise. REM is the time in which we dream vividly, and this is the lightest form of sleep. Often, we wake up as REM sleep ends, at least for a brief period. The interruptions in sleep cause quite a significant reduction in feeling rested the following day. Once you get a regular exercise routine you might find yourself taking some relaxing naps on the hammock in your backyard. If you don’t have a hammock and are interested in getting one for resting after your nap check out these reviews at thesleepjudge.com. Why Should I Get Up Early? As the previous study suggests, an early run can set you up for a wonderful day, followed by a solid night’s sleep. But a study at BYU in Utah also proves that sleeping late can affect your motivation for a workout and even your appetite throughout the day. The study watched the sleep habits of 375 women, monitoring how much sleep they got, when they got out of bed every day, and how much physical activity they engaged in during that day. The best results were achieved by those who were awake and on their feet no later than 7:30 a.m. For every hour afterward that a subject slept in, the amount of physical activity during the day was reduced. Sleeping later was determined by the study to reduce the amount of time available for running and working out. 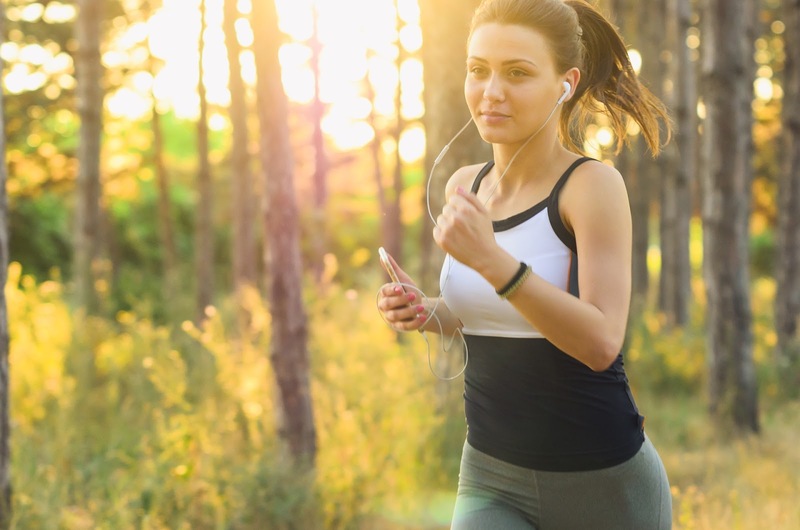 However, combining these two studies could prove that sleeping through the opportunity for a morning run can affect sleeping habits, which then leads to poorer sleep and then makes it more difficult to exercise the next day because you are tired. The most common sleep disorder experienced by adults is chronic insomnia, defined as difficulty falling asleep, staying asleep, getting restorative sleep, and not waking up extremely early. There haven’t been a large number of studies directly relating exercise and insomnia, but the few that have been conducted show that regular, moderate exercise can improve sleep time and quality for insomniacs. While heavy exercise, like extended runs and weightlifting, do not seem to affect sleep habits of insomnia patients, walking or short runs – 30 minutes – have improved the ability to fall asleep faster and to stay asleep longer for those who have trouble with insomnia. A period of 4 to 24 weeks of regular exercise shows significant improvement for these patients, and earlier in the process, a day with exercise compared to one without leads to a more solid, steady sleep. It is believed that a great deal of this relates to the fact that exercise is proven to decrease feelings of anxiety, arousal, and depression, all of which are elevated in the vast majority of insomnia patients. Having a regular workout routine can also help the body find a particular circadian rhythm, or bodily clock. This promotes healthy sleep by telling the mind that it’s time to let go and rest when night comes. In addition, running produces endorphins, which stimulate the body to be more active. Additional activity during waking hours can lead to a more general feeling of peace and tiredness at the end of the day. Yet another reason to exercise early! A word of caution needs to be had in this relationship, however. Sporadic workouts and occasional running for insomniacs can increase stress response – which is already elevated in these patients – actually irritating the problem and causing further issues with sleep. The process of building a routine may be slow and tedious, but only regular exercise reduces the response to stress overall and promotes better sleep. The key is to read up and really do your research on the relationship between sleeping and exercise, particularly running. Look for a site that has thorough reviews on sleep products and important information on sleep health. Just like any personal relationship in life, it takes work to build the relationship between running and sleep. You’ll find that one helps or hinders the other and vice versa, so it is important to develop good habits on both sides of the equation. Make sure you set a sleep schedule that promotes a healthy workout, such as a 30-minute run 3-4 times a week. And be sure to follow through with the intent to exercise. Skipping out can actually work in reverse, and then you’ll be lethargic and have difficulty getting back in the swing of things. Running is a great choice, when treated as an endurance sport, and you’ll find you have more vigor during the day, between a healthy amount of physical activity and an even healthier night’s sleep.